The diagnosis of endometriosis is suspected based on the history, the symptoms and signs, is corroborated by physical examination and imaging techniques such as ultrasound and MRI. 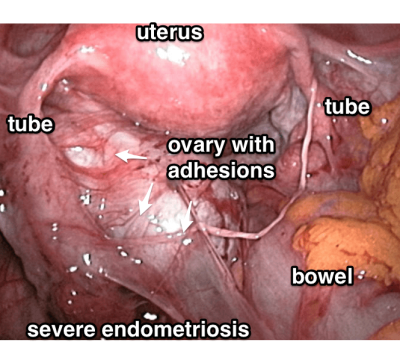 Laparoscopy is the gold standard for the diagnosis of endometriosis. Ideally histological verification of endometrial glands and/or stroma in the tissue obtained at surgery is even better. In many cases the typical appearances of endometriosis implants in the abdominal cavity are regarded as proof that endometriosis is present even in absence of an actual biopsy. 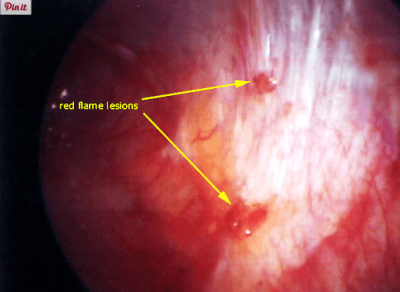 Presence of endometriosis can be extremely subtle, as many women with minimal or moderate endometriosis presents with lesions that do not have the classical "powder burn" appearance. 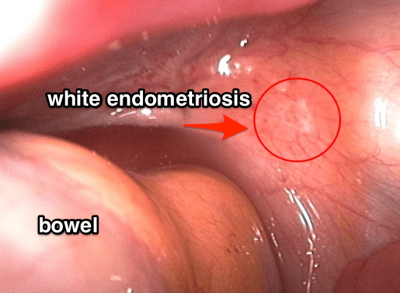 At times Endometriosis lesions can be red or white. Find more information about endometriosis.